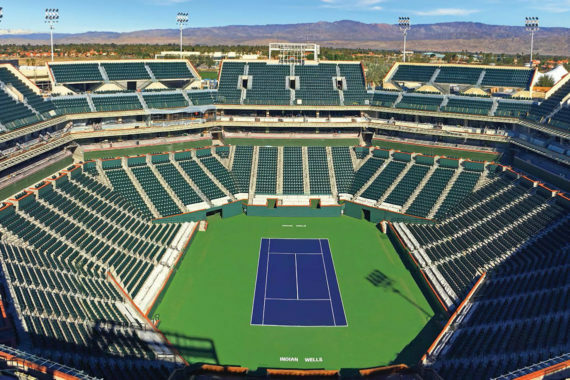 Pennsylvania Coatings has proudly worked annually with Watkins-Landmark Construction since November of 2013, in painting the expansion of Indian Wells Tennis Garden in Indian Wells, CA. 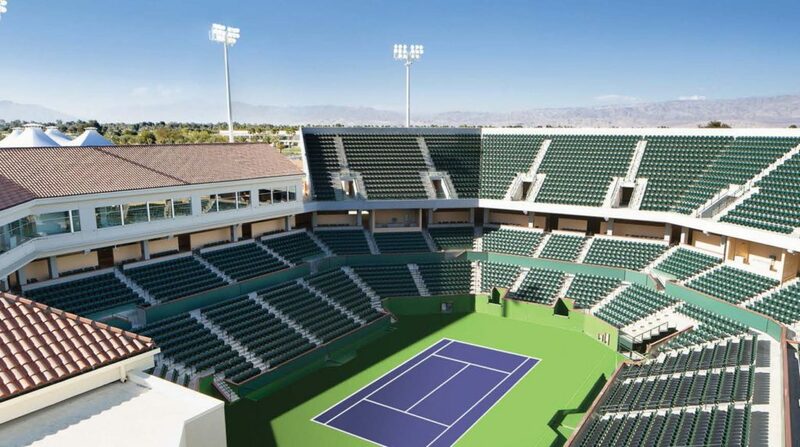 Indian Wells is the 2nd largest tennis facility in the world to Wimbledon and is the site of the BNP Paribas Open, held annually in March. 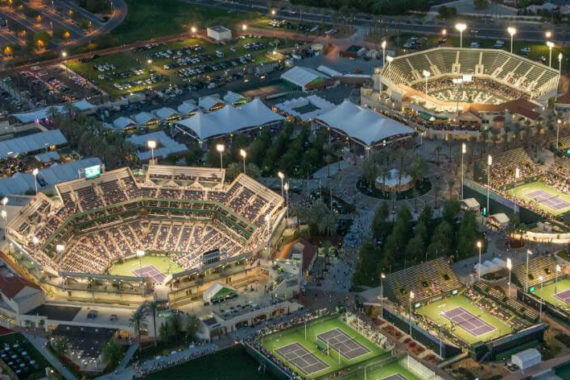 It is considered the largest tennis event in professional tennis outside of the four major, Grand Slam events. 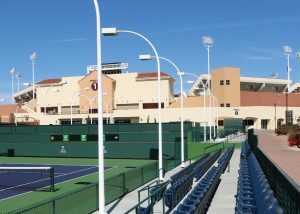 We have completed the painting of a new Stadium 2 opened March 2014 and the completely remodeled and expanded, Stadium 1 re-opened in March 2017, among myriad other projects at the complex. 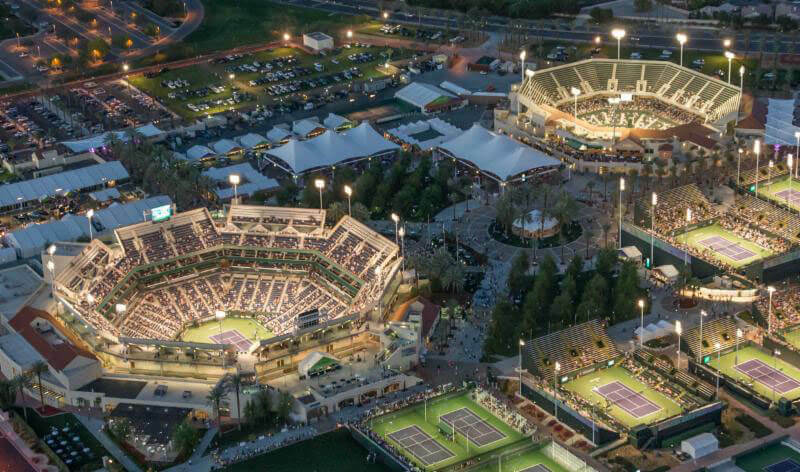 Work on these projects was expedited to be completed within the 12 month time frame between the annual tournament. Painting, from production through punchlist, was completed in each case within 3 months on these large and high-end projects. 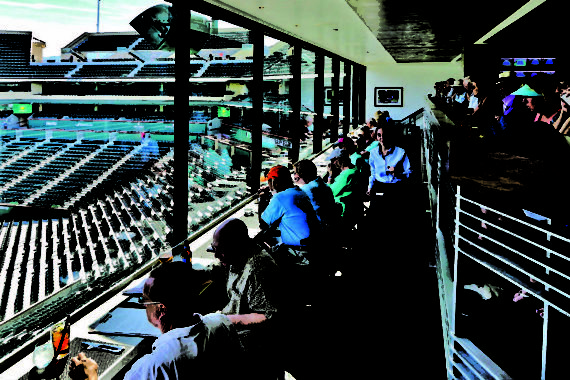 Stadium 1 seats 16,100, has 44 suites, 12 broadcast booths, and has a Spago Restaurant. 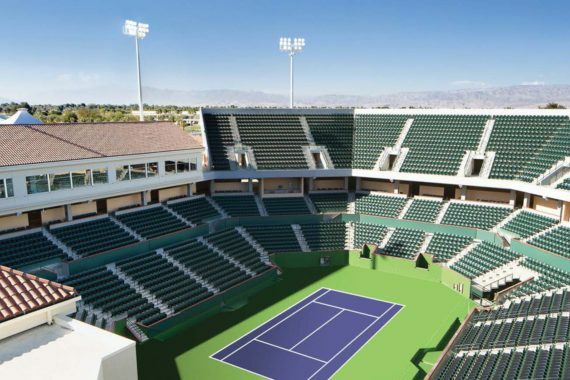 Stadium 2 has 8,000 seats, 6 broadcast booths, and 3 fine dining restaurants. 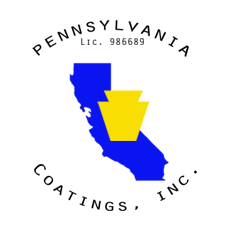 Interior and exterior painting of drywall, stucco, metals etc.